You are here: Home / Great Deals / 5 New Deals From Jane! 5 New Deals From Jane! 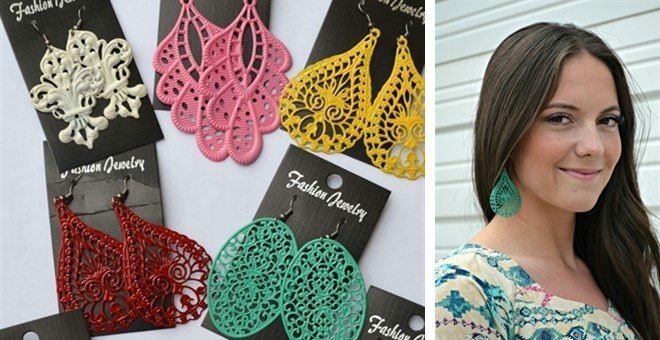 Filigree Earrings – Handmade and Hand-Painted Was $14.99 – Now $4.25 Get compliments everywhere you go with these handmade, hand-painted filigree earrings! 8 great colors to choose from and 4 great styles. All handmade here in the USA by local artists. Lead and nickle free and packaged beautifully. Striped Top – Was $29.99 – Now $12.99 – FREE Shipping This striped aqua top pairs perfectly with white jeans and sandals! Wear this to your back to school event, backyard bbq or block party! This dress is bound to be the talk of the backyard party this year! Pair with simple sandals and a headpiece for an effortless bohemian look! Or pair with heels and a floppy hat for a more conservative look! 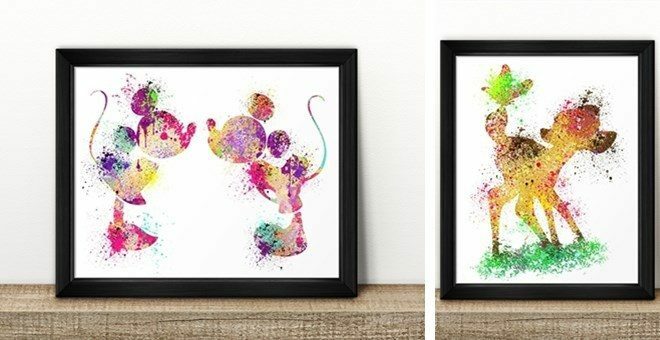 Character Inspired Watercolor Art Prints – Was $11.99 – Now $4.99 Disney fans, this is your chance to receive elegant Disney character inspired artwork printed on heavy card stock. These are a classy water color images of your favorite characters. Choose your very favorite or many. They are stunning framed on the wall and add the perfect touch to any decor. Perfect for your child’s room or your own. Lace Detail Short Extender – Was $22.99 – Now $12.99 Add a little lace (& length) to your shorts with these cute lace shorties. You will love the feminine lace detail with your outfit. Perfect for adding a little length to your shorty shorts OR wear under a skirt as security shorts. Waistband is elastic and fabric is stretchy cotton blend.